Worked with Alix and Paul to sell our house right when the market had crashed. They were great. House sold in a few months. I don’t hesitate to ask them about what is going on in the Sarasota real estate marketplace. They know the answers. They can readily tell you what a piece of real estate is worth and provide back-up on comparables. My experience with them has been solid. Alix and Paul stay involved throughout the process. It is not that they just mention a property to me, but we explore the options, feasibility, pro’s and cons. Alix and Paul are a great team because their individual points of view are complementary. I am the customer, therefore I feel I am getting so much more information and many more ideas than one person could possibly give me. I feel as if my needs come first. They are both so willing to share their insight and foresight. I feel confident that what they tell me is well thought out, based on their observations accumulated over the years of experience. My Realtor Alix Wexler went above and beyond the call of duty working on selling my condo. All of my contacts with Michael Saunders have been positive but Alix is really the 'face' of the agency for me. We just had another wonderful experience purchasing a house with Alix. We have purchased three properties with Alix's help over the past dozen years and she is a pleasure to deal with. She is consistently professional, knowledgeable and sensitive to her client's needs. We are grateful for her advice related to selling our property as well as finding our new one. Alix and Paul were extremely patient with my wife and me, and did an outstanding job on education us on Sarasota and really helped us in acquiring this property. 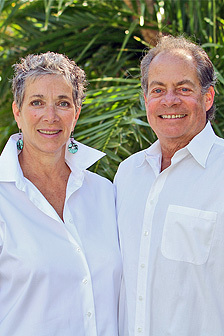 Alix and Paul are great people, and we will always refer anyone willing to relocate to Sarasota to them for their real estate needs. Thank you for having them in your company. Worked with Alix and Paul to sell a property when the market was at its worst. They were dedicated professionals who helped us achieve a sale during this diddicult time. I've bought two condos and sold one with Alix, and I highly recommend her. She listens, moves quickly, will offer advice when it is wanted, and is just terrific to work with. She will definitely go the extra mile for you. The agency is the best in the Sarasota area. We’ve gotten to know Alix and Paul in these last few 'years and find them enormously competent, personable and trustworthy. We enjoy having a meal with them when we’re in Sarasota and have to feel that they are dependable friends whom we count on to represent our best interests. We couldn’t be happier with the work they have done for us and we congratulate you on your wonderful company. After all our experience with Alix Wexler and Paul Romly, we believe they went above and beyond exceptional service. Alix and Paul define exceptional service. They are quality people that we have nothing but positive things to say about both of them We have absolute confidence that anyone we refer to Alix and Paul will have the same positive response that we had from our experience. - Tim & Renee C.
Alix and Paul both went out of their way on many occasions to make sure the sale of my property was handled as professionally as possible. Alix and Paul have been professional, knowledgeable, courteous and Accommodating throughout the process. We have had dealings with them before and Returned for these reasons. I think that Alix’s work on the sale went above and beyond the call of duty. I am delighted for her, and for me, that the sale did go through. Starting in early 2004 all of my contacts with Michael Saunders & Company have been positive, but Alix is really the “face” of the agency for me. If all your agents are like her, it is no wonder that the agency is as successful as it is. Alix and Paul have been very helpful and professional in listing and marketing our home. I,m very confident that they will find a buyer soon. I would and will recommend them to anyone looking to find a great team. Alix and Paul are both very professional and very personable. They are easy and direct to work with. They waste none of my time, they listen and they do not make mistakes. We will use them again. Alix was amazing to work with. She was efficient, organized, and stayed within our guidelines and criteria. We would heartily recommend Alix to anyone who's looking for real estate in the Sarasota area. She definitely deserves a five star rating! Alix Wexler and Paul Romley define exceptional service. We have never had as good an experience with a Real Estate Agent as we had with them. They are quality people that we enjoyed working with and we have nothing but positive things to say about both of them. We have absolute confidence that anyone we refer to Alix and Paul will have the same positive response that we had from our experience. Rest assured that we will refer anyone and everyone to them. Alix, while I know it’s your business, I feel very grateful for how careful you are with your boundaries. I never feel pushed by you and I’m not sure we would have thought to hold on to the condo at Plaza de Flores until the closing on Alinari unless you had suggested it.